Breitling Avenger Hurricane - Caution: 25% saved! We have been successful in the luxury watch business for 20 years. We are the first port of call for watch lovers and watch collectors as a result of this experience, our large selection of new, unworn and pre-owned luxury watches at reasonable prices and our reputable watch purchasing service. You can buy a large number of models from luxury watch brands such as Rolex, Breitling, Omega, Tag Heuer, Fortis, Oris, Tissot, Longines, Bulgari, Cartier, Glashütte und/oder Jaeger-LeCoultre from us online at considerably reduced prices in some cases. You also profit from our many years of experience and our knowledge of luxury watches, and we will be pleased to advise you online via email, our contact form or personally over the telephone or in our bricks-and-mortar shop. Our trained staff will be pleased to explain every function of the luxury watch you desire in detail. Do you wish to sell your Rolex? 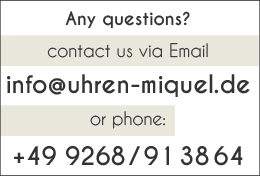 You've come to the right place at Uhren Miquel. Simply click our online watch purchase form, in which you send us the details and photos of your watch, and we will get back to you without delay with a free purchase evaluation of your watch. Schmuck&Uhren Miquel GmbH offers you a large number of diving watches, pilot watches and chronographs. 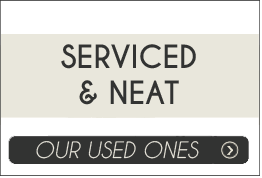 Anyone looking for self-winding watches or hand-winding watches will find them here. Choose your luxury watch from watch brands such as Rolex, Breitling, Oris, Tag Heuer, Fortis, Tissot, Longines, Bulgari, Cartier, Glashütte and/or Jaeger-LeCoultre at an attractive price. We have watches with leather straps, stainless steel bracelets, PVD-coated straps and many other designs in our assortment. Browse online through our categories and you will soon be the owner of your dream luxury watch. If you already call one or more luxury watches your own, you will also find replacement parts for watches, watch straps, watch storage boxes and watch winders at an attractive price here. It goes without saying that we will shorten the watch strap free of charge before shipment or before you take away the watch you have just purchased. We also offer battery replacement, a waterproofness test or the reconditioning of your luxury watch at a reasonable price. Ladies are also not neglected at Uhren Miquel: our wide range of luxury watches includes some stunning classic beauties for ladies. Luxury watch brands such as Rolex, Breitling, Eterna, Cartier, Longines, Bell&Ross, Rado, Alpina, Fortis, Patek Philippe, Bruno Söhnle, Union Glashütte, Frederique Constant, TAG Heuer, Maurice Lacroix and Ball offer timeless and modern ladies' watches in the luxury watch segment at affordable prices at Uhren Miquel which make the wearer shine twice as brightly. You will find new, unworn and pre-owned bargains for the feminine wrist in the "ladies' watches" category at Schmuck&Uhren Miquel GmbH. You can also offer your used luxury lady's watch for sale by sending us the details and a photo via our watch purchase form. 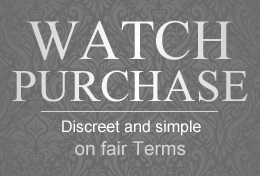 We will send you a free purchase evaluation for your watch and inform you of the buying price in our prompt reply. You will also find a video of the selling process on our website, in which the procedure and the transaction are explained in detail. Uhren Miquel offers you a large number of Rolex, Breitling, Hublot and a large selection of other luxury watches at an attractive price. Models with a wide variety of functions can be found here. Diving watches of stainless steel which are extremely waterproof, puristic Rolex models of high-carat yellow gold, sporty GMT models of athletic stainless steel or a chic lady's watch of the Rolex brand of white gold studded with brilliant-cut diamonds. Globetrotters also find what their hearts desire in the assortment of Miquel Schmuck&Uhren GmbH - luxury watches with a time zone function, meaning that you can also read off the time at home at lightning speed when you are in another country. Optical embellishments, e.g. a small second counter, and useful functions, such as a date display and/or day display, can be found in many luxury watch brands. 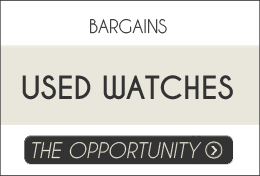 Browse through our inexpensively priced bargains and you will find your dream luxury watch. The defining feature of Hublot watches is their striking appearance. Superior materials, such as ceramic, stainless steel, sapphire or titanium, are turned into exquisite and luxurious timepieces by the Swiss watchmaker. In this regard, the natural rubber watch straps provide a sporty look, but the popular leather watch straps also delight Hublot lovers time and time again. Model series such as Big Bang immediately catch the eye as a result of their solid appearance. This is not only due to the fine ceramic and stainless steel or red gold materials but also to skeletonised dials and matt black or richly coloured materials. The chronographs also turn the wrist of their wearer into a real eye-catcher. You can buy Hublot watches online at Uhren Miquel at attractive prices. You will find your Hublot watch at Uhren Miquel, be it a Hublot Big Bang Unico Black Magic with a natural rubber strap or a Hublot Classic Fusion self-winding watch. It goes without saying that Rolex watches lovers can also make their dreams come true at Uhren Miquel. We offer a large number of Rolex Submariner models, Rolex Datejust, Rolex Explorer and many more, including products in white gold, yellow gold or rugged stainless steel, as individual as their wearer. We also offer luxury watches of the Rolex brand for ladies. Classic watches such as the Rolex Oyster Lady Datejust are always popular with women. Luxury watch lovers should not pass up the opportunity of viewing our selection of Rolex watches at bargain prices.